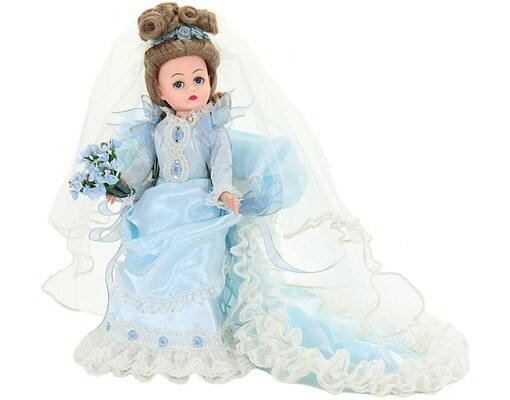 10" blue-eyed Victorian Bride (circa 1901) is luminous in powder blue satin jacquard adorned with lace and sheer ribbon bows. A deeply tiered lace swag drapes to the back and ends in a cascading train. Blue rose and a cathedral length veil crown her golden hair. Retired item - available for limited time.